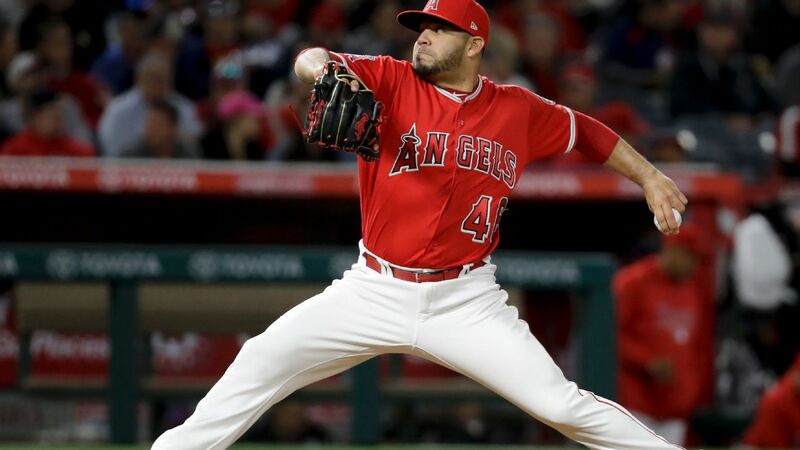 PHILADELPHIA -- The Phillies have acquired left-handed pitcher Jose Alvarez from the Los Angeles Angels for right-hander Luis Garcia. Alvarez was 6-4 with a 2.71 ERA and one save in 76 appearances in 2018, striking out 59 in 63 innings. He allowed only three home runs to the 261 batters he faced while holding left-handed hitters to a .206 batting average and righties to a .232 mark. The 29-year-old Alvarez is 12-18 with a 3.69 ERA over six seasons with the Tigers and Angels. Garcia went 3-1 with a 6.07 ERA in 59 games last season after posting a career-best 2.65 ERA in 71 innings in 2017. He is 12-14 with a 4.12 ERA in 251 career appearances, all in relief. Phillies manager Gabe Kapler tweeted that the team will miss Garcia. Garcia made $1.2 million this year and Alvarez $1.05 million. Each is eligible for salary arbitration and can become a free agent after the 2020 season.